One possible reason for not receiving signals is bad weather conditions. Look outside; if it is cloudy or raining or there is a storm coming up, then it might cause hindrance in the reception of satellite signal by your antenna dish. Sometimes, during dust storms or windy days, your antenna’s orientation gets disturbed leading to the ‘no signal’ issue. 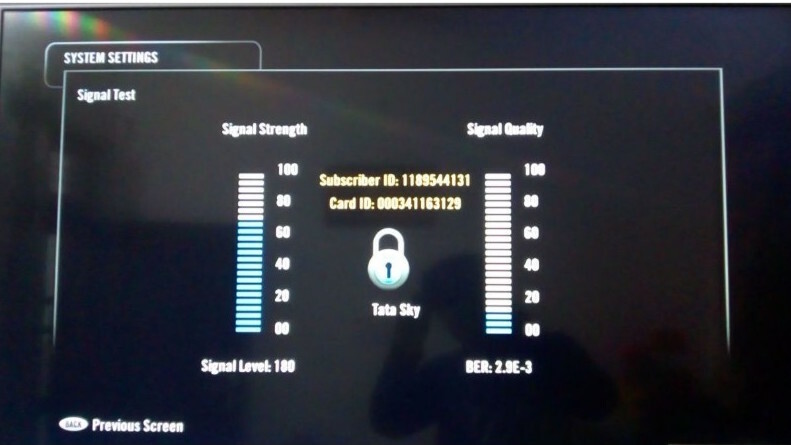 If the weather is clear but still you are getting a Tata sky no signal error message, then there might be some problem with the equipment or dish receiver. Worn out cables, set-top box, improper installation of upgrades can all lead to a bad signal issue. Sometimes software upgrades on the back end might also lead to signal problems. 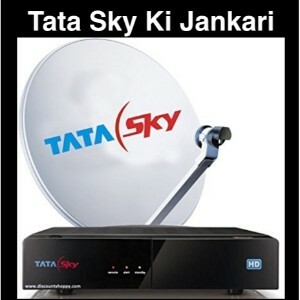 On calling the Tata sky customer care, they will inform you about any such issue or upgrade that might be going on. It usually takes 1-2 hours to fix. 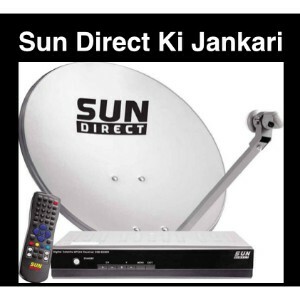 Sun Direct customer care and Videocon D2H customer care are not as fast as that of Tata sky. 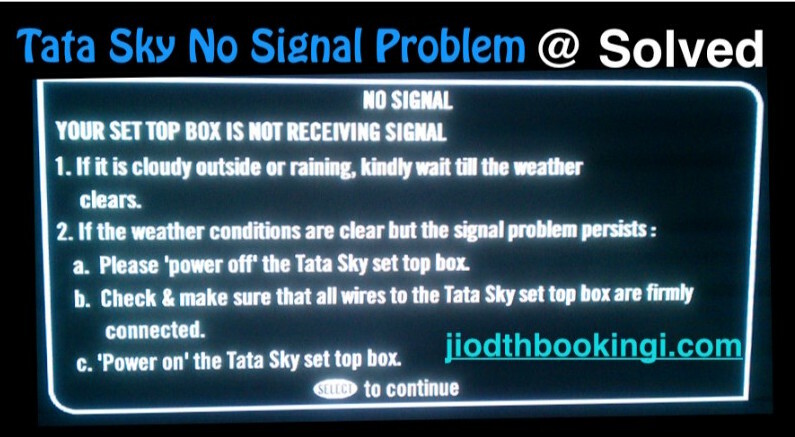 There are some tricks to resolve the DTH signal issue of Tata sky. Some can be done by ourselves while others need an expert executive advice. Clean up the set-top box. Sometimes due to accumulation of dust the connection between the cables and set-top box might be hampered. 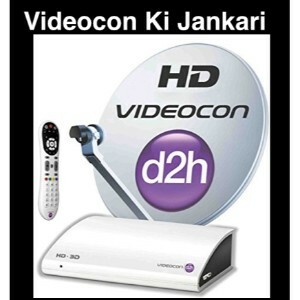 You can eject out the DTH card inside the set top box, give it a wipe and then insert it back carefully. Make sure that all the cables are properly fixed into the set-top box. the orientation of the antenna might have been changed leads to poor signal reception. 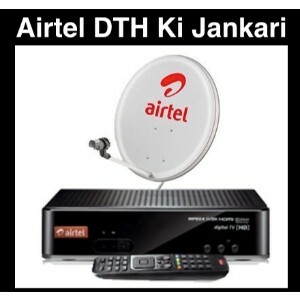 If you are aware of setting the DTH dish in the right direction, then you can attempt it yourself else you can always call the Tata sky Customer care service for assistance. you can also try to edit the satellite settings by modifying the DTH’s INSAT 4A settings. The process can be found in the menu provided but it is not advisable to alter the settings on your own with just half-knowledge. 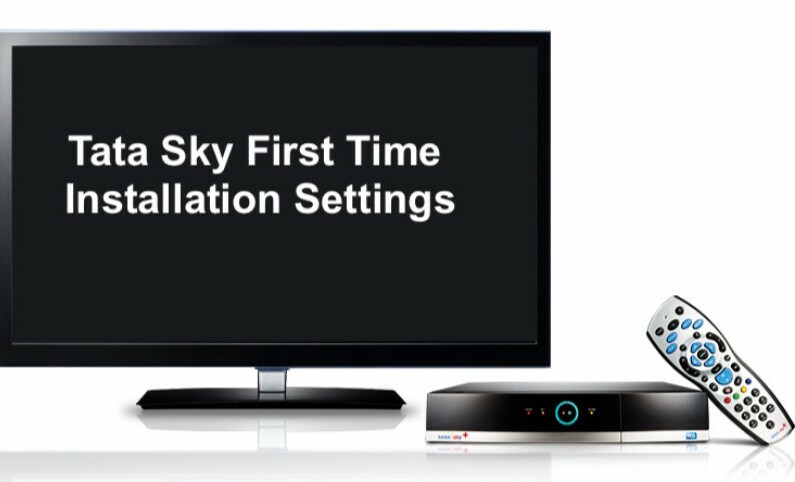 Switch on you set-top box and press “Organiser” button on Tata Sky remote. Then select the “System Settings” menu in Tata Sky. Simultaneously press the “0” and “1” buttons and then “Select” button on your Tata Sky remote. At last but not the least, the safest and the easiest way of fixing the Tata sky no signal problem is to call the customer support for help. Send an SMS to 56633 from your registered mobile number and just write NS in the message. You will get a call back from them who will then assist you till the issue is resolved. 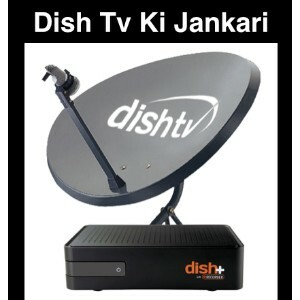 You can also register a Tata sky no signal complaint by giving a missed call to 08899888998. Sometimes they advise you for master reset or factory reset of your set top box and this fixes up the issue. If not, then they give you the necessary advice for fixing it up. 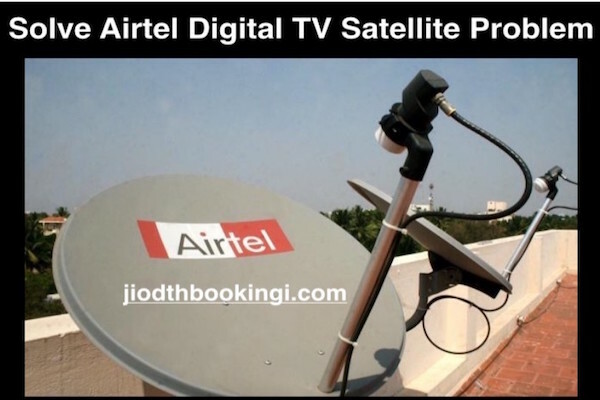 If then also your signal does not get fixed, they will send over a support executive to fix the issue by altering the alignment of the Dish and Tata sky signal direction. They also bring the Tata sky signal tester with them which will show you the level of the signal received and if it is up to the mark. 1.2 Clean up the set-top box.